And will Kim’s successors play his brinkmanship games? The Diplomat asks Asia analyst Adam Ward at the Shangri-la Dialogue. It has become something of a cliché to say it, but the only thing that seems to be predictable about North Korea is its unpredictability. But even by these standards, the sinking of the South Korean warship the Cheonan seems a surprising step. What do you think Pyongyang could have been hoping to achieve? It’s an intriguing question. It’s hard to believe that it was a strategically well thought out manoeuvre, and it might have simply been some kind of overreaction or an accident. Certainly it would be more reassuring to believe that that was the case, rather than it being a deliberate act of hostility or aggression. For me, it raises a broader point, which is that in the North Korean system of politics there’s a very small coterie of people responsible for managing the country’s external diplomacy, and to some extent they’re very sophisticated at brinkmanship – at raising and lowering the temperature to extract various concessions from the outside world to fend off pressure. That’s something that Kim Jong-il has been very adept at doing as part of his survival strategy for the country. But a question that has always lurked in the background is to what extent these manoeuvres are properly understood by the military high command. And if you now proceed to some sort of a succession scenario, as we will inevitably have to, the question then is will the people that succeed Kim Jong-il have the skill to play the traditional game of North Korean brinkmanship, or are they actually going to be people who feel themselves to be under the permanent existential threat from America and what they see as its puppet client state in the South? 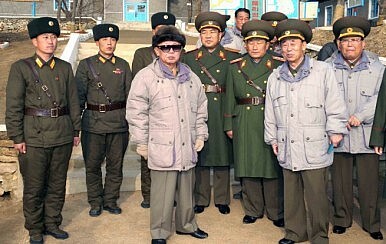 Clearly whoever succeeds Kim Jong-il won’t have the same authority as he had or his father had. It’s much more likely you’ll have a more dispersed power structure in which the Korean People’s Army will have a greater say than they perhaps do now. So when we think about the future, we’ll have to assess how we take into account how North Korea under that kind of leadership might react to certain measures and how it might evaluate threats. And I think it generally makes for a much more dangerous and volatile situation. How well do we understand the military decision making process? Do we have any good information? What we have is very poor, and we have a very poor understanding of the decision making process in North Korea as a whole. Clearly, there’s an army first policy, which suggests that the army already occupies a certain prominence — that Kim Jong-il has decided to make the army, not the party, the centre of his power base.